Keeping roads and car parks clear of snow and frost is an essential requirement to keep traffic disruption to a minimum. 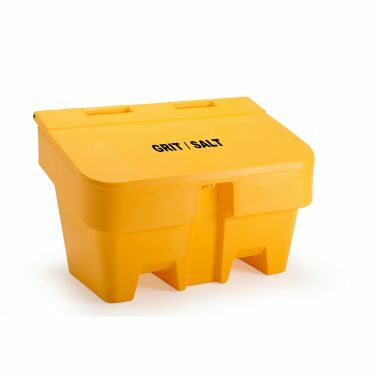 The Supertuff grit bins are designed to be stored in car parks and alongside the road to ensure that when winter arrives, grit and salt can be applied to prevent the build up of ice. Their unique design means that they can be secured using our integrated hasp and staple lock mechanism, meaning a padlock is all that is needed to lock the bin. 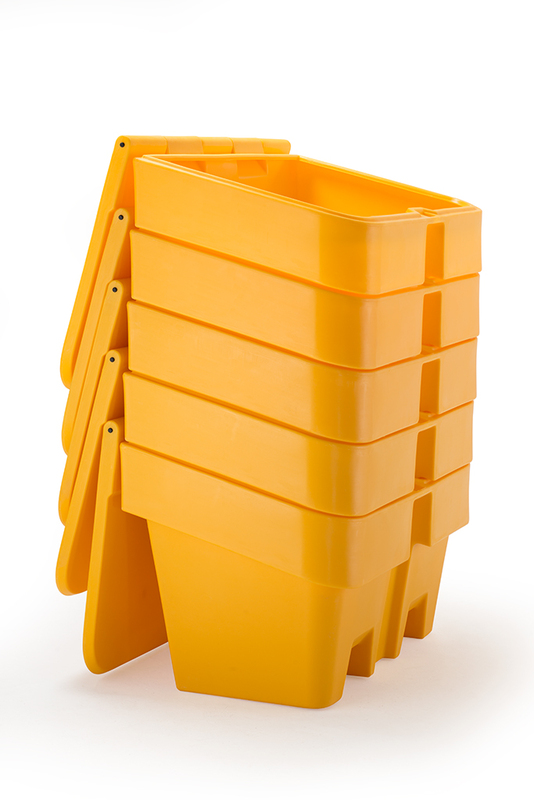 Manufactured in our UK factory from heavy duty polyethylene, the bins are resistant to dents, cracking and water damage which makes them capable of being kept outside in all weather conditions. 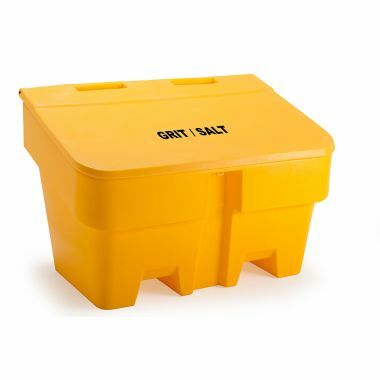 When empty these containers can nest and stack together, and feature integrated fork pockets that make them easy to handle with a forklift truck. Ideal for businesses and councils, we provide two sizes to reduce wasted space and ensure you get the best deal.